Isonychias, are the best mayfly for anglers in Michigan! 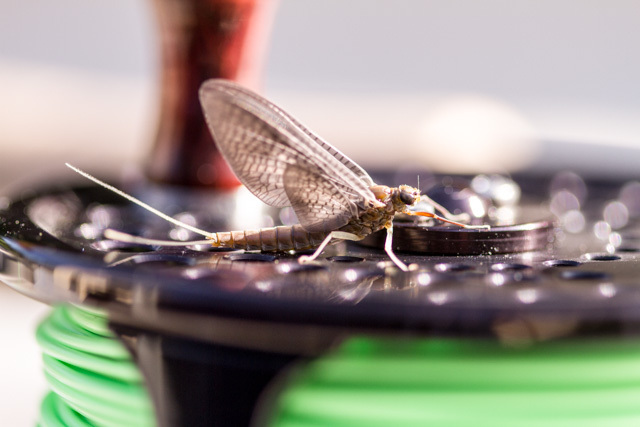 In Michigan, and elsewhere, the Isonychia mayfly provides the best dry fly opportunities of the year. That’s heresy to many in fly anglers in Michigan, who would argue vehemently that the mighty Hex beats Isonychias hands down. Isonychias are the best mayfly in Michigan for many reasons. The Isonychia hatch does not bring out massive crowds and choke our rivers with hordes of anglers. The hatch occurs in the afternoon and early evening. Spinner falls happen right before dark. Seeing the fish rise and then seeing it take my fly are a couple of reasons why I got into fly fishing for in the first place. Isonychias are the best mayfly for anglers in Michigan because trout like eating them. We’ve all been out fishing and seen a small emergence of another mayfly like a Sulphur or Hex and the fish didn’t seem to notice. With Isonychias a small emergence is usually all you get. It doesn’t matter because the fish love them. If I look downriver and can see 10-20 Isonychias hatching I expect to find big fish eating. The Isonychia, commonly known in years past as the White Glove Howdy or the Slate Drake has the typical mayfly life cycle. Eggs are fertilized and dropped in the water by the dying females to start the life cycle. One year later the mature nymph swims to the water surface and its exoskeleton splits open along the thorax region. The dun then emerges and crawls out of the spent shuck. Occasionally, the dun is unable to escape from its shuck and these crippled insects become easy prey for hungry trout. As adults when hatching they are “Adams” grey colored. After hatching the duns fly into the trees and bushes and molt becoming sexually mature spinners ready to mate. As they molt to spinners they change color into a deep mahogany. During both dry fly stages the mayflies have cream colored legs making them very easy to identify. Some of Michigan’s best known patterns are Isonychia imitations. The most famous is the Borcher Drake (step-by-step video available to the right). Originally tied with condor quill it is now done with turkey tail. Hackle is either Cree or Grizzly and Brown together. I also believe that the most famous dry fly of all, the Adams, is a great imitation of an Isonychia dun. I fish Isonychia patterns, like Ed’s AP Drake, (video below for spinner version) starting in late May or early June even with no bugs on the water. I think Isonychias must taste like strawberry shortcake because fish seem to love them. I’m a big fan of Double Rig Dry Fly Fishing with a couple of Isonychia dry flies. Usually I use an emerger with a dun but sometimes a dun and a spinner. Any of these life stages can be on the water at the same time. Make sure you fish fairly stout tippet 3X or 4X. Last season in early June a client landed 25-inch brown mid- afternoon on an Isonychia pattern. High quality Isonychia waters are plentiful in the State of Michigan, the Manistee and AuSable both have sections of fabulous Isonychia hatches. Isonychias are a free swimming nymph that seem to prefer larger cobble areas. They typically hatch in smaller numbers but spin over riffles in big concentrations. I’m unsure why we rarely see large numbers hatching but do see large numbers spinning. To find good Isonychia water fish larger cobble water from early June and on in the afternoon and evening. 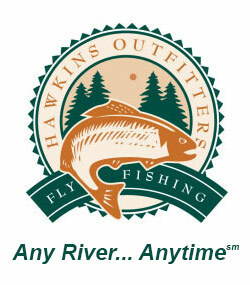 In the afternoon look for large, heavy bodied mayflies hatching from the water that are an “Adams” grey in color. They should be size 10 or 12. Please note that a lot of bug authorities state that Isonychias climb out of the water to hatch, maybe, but not in Michigan. As the sun goes down look for mahogany colored mayflies spinning that are heavy, fat morsels. If you find areas that these bugs are present you will usually find large trout rising to eat them. I can say, with great conviction, that the Isonychias are the best mayfly for anglers in Michigan. If you spend the time to find river areas that hold them my guess is, you will agree.